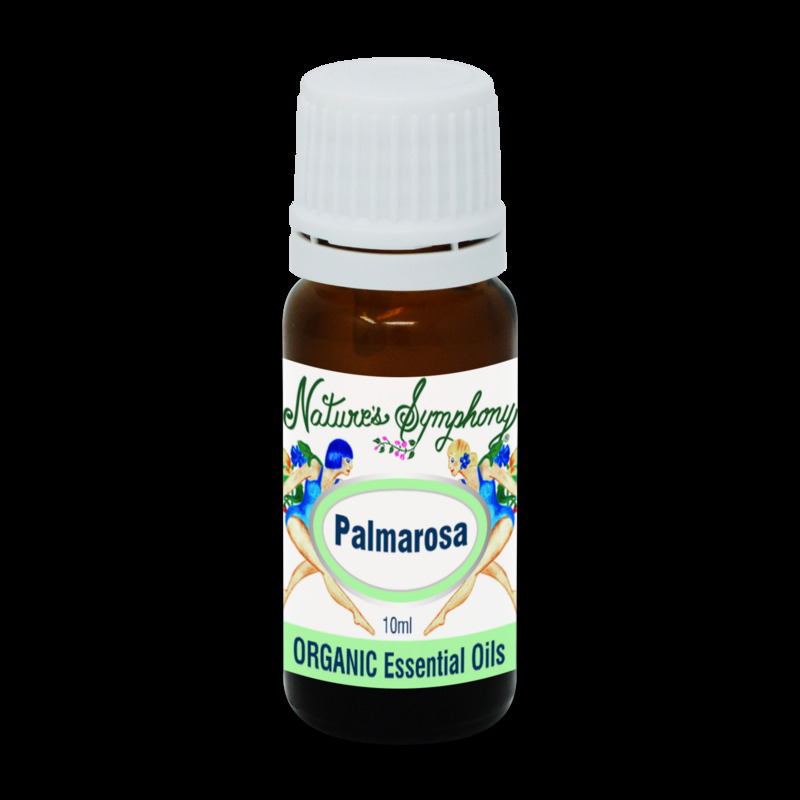 Palmarosa essential oil is steam distilled from the blossoms and other plant parts of a perennial grass that grows wild in India. It has a sweet, floral, green-rosy odor. Even before the essential oil was first distilled, the crushed plant was used in antiquity to relieve joint pain and other pain. May be invigorating to the cells and promote regeneration therefore is used for skin problems, acne, dry skin, wrinkles, scars. It is stimulating and soothing, and has antiseptic qualities.